Your search returned 169 matches. aceris "Kuznetzov, in Danilevsky & Kuznetzov", 1968 (Pammene), Fauna SSSR (N.S.) 98 (Lepid. 5 (1)) : 614. TL: Russia, "Kuril Islands, Kunashir". Holotype: ZISP. male. adusta Kuznetzov, 1972 (Pammene), Ent. Obozr. 51: 394. TL: Japan, "Kyushu, Nagasaki Prefecture, Mt.Unzen". Holotype: LNK. female. agnotana Rebel, 1914 (Pammene), Verh. zool.-bot. Ges. Wien 64: 58. TL: Austria, Gaisberg. Lectotype: MNHU. male. engadinensis Muller-Rutz, 1920 (Pamene [sic]), Mitt. Ent. Zurich 5: 340. TL: Switzerland. Schuls. Holotype: BNM. unknown. snellenana Bentinck, 1947 (Pammene), Tijdschr. Ent. 88(1945): 155. TL: Netherlands. Anhem. Lectotype: NCB. male. vernana Snellen, 1882 (Pammene), Vlinders Nederl. 2: 38. TL: Netherlands. Syntype(s): NCB. unknown. ainorum "Kuznetzov, in Danilevsky & Kuznetzov", 1968 (Pammene), Fauna SSSR (N.S.) 98 (Lepid. 5 (1)) : 613. TL: Russia, "Kuril Islands, Kunashir". Holotype: ZISP. male. albuginana Guenee, 1845 (Ephippiphora), Annls Soc. ent. Fr. (2) 3: 178. TL: Finland, "Lemland, Mars". Neotype: ZMH. male. reisseri Rebel, 1937 (Pammene), Z. st. Ent. Verz. 22: 43. TL: Austria. Kreuzstetten. Holotype: NHMV. female. amygdalana "Duponchel, in Godart", 1842 (Grapholitha), Hist. nat. Lpid. Papillons Fr.(Suppl.) 4: 157. TL: France, Lectotype: MNHN. male. gallarum Graells, 1858 (Carpocapsa), Mem. Com. Mapa Geol. Espaa (1855): 110. TL: Spain. Syntype(s): MNCNM. unknown. kockeilana Freyer, 1845 (Carpocapsa), Neuere Beitr. Schmett.-Kunde 5: 60. TL: Europe. Syntype(s): Unknown. unknown. kokeilana Freyer, 1845 (Carpocapsa), Neuere Beitr. Schmett. Kunde 5: 168. Syntype(s): Unknown. unknown. zelleri Schulze, 1918 (Pammene lobarczewskii ssp. ), S.B. Ges. Naturf. Fr. Berl. 1918: 376. TL: Europe. Syntype(s): Unknown. unknown. argyrana Hubner, [1796-1799] (Tortrix), Samml. Eur. Schmett "7: pl. 8, fig. 46." TL: Europe, Syntype(s): Unknown. unknown. argentimicana Bruand, 1850 (Coccyx), Mm. Soc. Emul. Doubs. 3 (2): 48. TL: France. Holotype: Unknown. unknown. atromargana Haworth, 1811 (Tortrix), Lepid. Br. (3): 446. TL: United Kingdom. Great Britain. Lectotype: OUM. female. vernana Knaggs, 1867 (Coccyx), Ent. mon. Mag. 4: 122. TL: United Kingdom. Great Britain (West Wickham). Syntypes: BMNH. 3 males. aurana Fabricius, 1775 (Pyralis), Systema Entomologiae : 653. TL: United Kingdom, Great Britain. Syntype(s): Unknown. unknown. aurantiana Kollar, 1832 (Grapholitha), Beitr. Landesk. sterr. Enns. 2: 84. TL: Europe. Syntype(s): Unknown. unknown. bimaculella Thunberg & Wenner, 1794 (Tinea), D. D. Dissert. Ent. Sist. Ins. Svecica 7: 89. TL: Sweden. Lectotype: DEUU. female. cuprea Obraztsov, 1959 (Laspeyresia aurana ab. ), Tijdschr. Ent. 102: 198. TL: Germany. "Pfalz, Speyer". Holotype: ZSM. male. fulvana Fabricius, 1798 (Pyralis), Suppl. 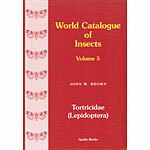 Entomologiae Systematicae 3: 477. TL: Germany. Syntype(s): Unknown. unknown. fulvella Fabricius, 1794 (Tinea), Entomologia Systematica 3 (2): 317. TL: Germany. Syntype(s): Unknown. unknown. obscurana Obraztsov, 1959 (Laspeyresia aurana ab. ), Tijdschr. Ent. 102: 198. TL: Germany. "Pfalz, Speyer". Holotype: ZSM. female. aurantiana Staudinger, 1871 (Phthoroblastis), Berl. Ent. Z. 14(1870): 286. TL: Hungary. Syntype(s): MNHU. unknown. avetianae Kuznetzov, 1964 (Pammene), Ent. Obozr. 43: 701. TL: Armenia, vic. Erevan. Holotype: ZISP. male. bathysema Diakonoff, 1976 (Pammene), Zool. Verh. Leiden 144: 26. TL: Nepal, "Prov. No. 3 East, Junbesi". Holotype: ZSM. female. blanda Bae & Park, 1998 (Pammene), Zool. Studies 37: 298. TL: Korea, "Gyunggi, Mt. Kyebang". Holotype: IZUK. male. blockiana Herrich-Schaffer, 1851 (Tortrix (Grapholitha)), Syst. Bearbeitung Schmett. Eur. 4: 256 TL: Europe, Lectotype: MNHU. female.
? blockiella Rossi, 1794 (Tinea), Mantissa Insectorum 2: 46. TL: Italy. Syntype(s): Unknown. unknown. cupressana Zerny, 1927 (Pammene), Verh. zool.-bot. Ges. Wien 77: 4. TL: France. "Lombardy, Gargnano". Lectotype: NHMV. male. bowmanana McDunnough, 1927 (Hemimene), Can. Ent. 59: 225. TL: Canada, "Alberta, Nordegg". Holotype: CNC. male. caeruleata Kuznetzov, 1970 (Pammene), Ent. Obozr. 49: 447. TL: Russia, "Primorsky Krai, near Ussuriysk". Holotype: ZISP. male. caliginosa Kuznetzov, 1972 (Pammene), Trud. Zool. Inst. Leningrad 52: 313. TL: Iran, "Fars, Fort Sine-Sefid". Holotype: NHRS. female. castanicola Trematerra, 2009 (Pammene), Boll. Zool. Agric. Bachic. (II) 42 (2): 124. TL: Italy, "Sicily, Mt. Etna". Holotype: TREMC. male. christophana Moschler, 1862 (Phthoroblastis), Wien. ent. Monatschr. 6: 140. TL: Russia, Holotype: Unknown. unknown. clanculana Tengstrom, 1869 (Grapholitha), Acta Soc. Fauna Flora Fenn. Frh. 10: 362 TL: Russia, "Karelia, Petrozavodsk". Syntypes (2): ZMH. unknown. cocciferana Walsingham, 1903 (Pammene), Ent. mon. Mag. 39: 211. TL: Morocco, Tangier. Holotype: BMNH. male. crataegicola Liu & Komai, 1993 (Pammene), Tinea 13: 241. TL: China, "Jiangsu Province, Suqian Co.". Holotype: IZAS. female. crataegophila Amsel, 1935 (Pamene [sic]), Mitt. zool. Mus. Berl. 20: 292. TL: Palestine, Kiriath Anavim. Syntype(s): LNK. unknown. cyanatra Diakonoff, 1976 (Laspeyresia), Zool. Verh. Leiden 144: 41. TL: Nepal, "Kathmandu Valley, Godavari". Holotype: ZSM. male. cytisana Zeller, 1847 (Grapholitha), Isis von Oken (Leipzig) 1847 (10): 735. TL: Italy, "Sicily, Messina". Holotype: BMNH. male. epanthista Meyrick, 1922 (Laspeyresia), Exotic Microlepid. 2: 530. TL: France, Alpes-Maritimes. Lectotype: MNHN. male. exscribana "Kuznetzov, in Ler", 1986 (Pammene), Syst. Ecol. Lepid. Far East USSR (Leningrad) : 18. TL: Russia, "Sakhalinskaya Region, Kuril Islands, Kunashir Island". Holotype: ZISP. female. fasciana Linnaeus, 1761 (Phalaena (Tortrix)), Fauna Svecica : 342. TL: Sweden, Lectotype: LSL. female. herrichiana Heinemann, 1854 (Carpocapsa), Z. Ent. 8: 1. TL: Europe, Syntypes: DEMV. 2 females. juliana Curtis, 1836 (Philalcea), Br. Ent. 6: folio 583. TL: United Kingdom. Great Britain. Syntype(s): DEMV. unknown. nimbana Herrich-Schaffer, 1851 (Tortrix (Carpocapsa)), Syst. Bearbeitung Schmett. Eur. 4: 252. TL: Europe. Syntype(s): Unknown. unknown. trinotana Frolich, 1828 (Tortrix), Enum. Tortr. Wrtemberg : 94. TL: Germany. Wrtmeberg. Syntype(s): Unknown. unknown. felicitana Heinrich, 1923 (Pammene), Proc. ent. Soc. Wash. 25: 120. TL: Canada, "Qubec, Montreal". Holotype: AMNH. male. festiva Kuznetzov, 1972 (Pammene), Trud. Zool. Inst. Leningrad 52: 311. TL: Iran, "Balout-chistan, Khach-Zahedan, Fort Sengan". Holotype: NHRS. female. flavicellula Kuznetzov, 1971 (Pammene), Ent. Obozr. 50: 442. TL: Russia, "Primorsky Krai, Ussuri, Kazakevich". Holotype: MGAB. female. fulminea Komai, 1999 (Grapholita), Ent. Scand. Suppl 55: 134. TL: Japan, "Honshu, Iwate Prefecture, Kuriyagawa". Holotype: EIHU. male. gallicana Guenee, 1845 (Orchemia), Annls Soc. ent. Fr. (2) 3: 192. TL: France, Holotype: MNHN. male. alberici Dufrane, 1944 (Enarmonia rufillana ab. ), Bull. Mus. R. Hist. Nat. Belg 20(18): 9. TL: Belgium. Gilly. Holotype: IRSN. female. implicatana Christoph, 1882 (Grapholitha), Bull. Soc. Imp. Nat. Moscou 56(4) (1881): 417. TL: Russia. "Khabarovsky Krai, Radd". Holotype: MNHU. female. pudicana Herrich-Schaffer, 1851 (Tortrix (Grapholitha)), Syst. Bearbeitung Schmett. Eur. 4: 263. TL: Austria. Syntype(s): Unknown. unknown. rufillana Doubleday, 1850 (Semasia), Synon. List Br. Lepid. : 25. TL: United Kingdom. Great Britain. Syntype(s): BMNH. unknown. gallicolana Lienig & Zeller, 1846 (Grapholitha), Isis von Oken (Leipzig) 1846 (3): 255. TL: Europe, Holotype: BMNH. female. germmana Hubner, [1796-1799] (Tortrix), Samml. Eur. Schmett. "7: pl. 8, fig. 47." TL: Europe, Syntype(s): Unknown. unknown. atropurpurana Haworth, 1811 (Tortrix), Lepid. Br. (3): 467. TL: United Kingdom. Great Britain. Syntype(s): BMNH. unknown. fulvifrontana Zeller, 1849 (Grapholitha), Stettin. ent. Ztg. 10: 255. Syntype(s): BMNH. unknown. germarana Hubner,  1816 (Epiblema), Verz. bekannter Schmett. : 376. TL: Europe. Syntype(s): Unknown. unknown. immaculana Guenee, 1845 (Stigmonota), Annls Soc. ent. Fr. (2) 3: 184. TL: France. Syntype(s): MNHN. unknown. puncticostana Stephens, 1834 (Pseudotomia), Illust. Br. Ent. (Haustellata) 4: 102. TL: United Kingdom. Great Britain. Syntype(s): BMNH. unknown. stagnana Hubner, [1799-1800] (Tortrix), Samml. Eur. Schmett. 7: pl. 30fig. 193. Syntype(s): Unknown. unknown. giganteana Peyerimhoff, 1863 (Coccyx), Bull. Soc. Hist. Nat. Colmar 3 (1862): 128. TL: France, Syntype(s): Unknown. unknown. fimbriana Haworth, 1811 (Tortrix), Lepid. Br. (3): 446. TL: United Kingdom. Great Britain. Lectotype: OUM. male. ginkgoicola Liu, 1992 (Pammene), Sinozoologia 9: 249. TL: China, "Jiangsu Province, Nanjing". Holotype: IZAS. male. griseana Walsingham, 1900 (Pammene), Ann. Mag. nat. Hist. (7)6: 436 TL: Japan, Holotype: BMNH. female. griseomaculana Kuznetzov, 1960 (Pammene? ), Ent. Obozr. 39: 196. TL: Russia, "Siberia, Primorsky Krai, Yakovlevka". Holotype: ZISP. male. grunini Kuznetzov, 1960 (Laspeyresia), Ent. Obozr. 39: 197. TL: Russia, "Primorsky Krai, Ternei". Holotype: ZISP. female. ignorata "Kuznetzov, in Danilevsky & Kuznetzov", 1968 (Pammene), Fauna SSSR (N.S.) 98 (Lepid. 5 (1)) : 383. TL: Russia, "Primorsky Krai, near Ussuriysk". Holotype: ZISP. female. insolentana Kuznetzov, 1964 (Pammene), Ent. Obozr. 43: 694. TL: Russia, "Primorsky Kraiy, near Vladivostok, Okeanskaya". Holotype: ZISP. male. instructana Kuznetzov, 1964 (Pammene), Ent. Obozr. 43: 699. TL: Russia, "Amur Region, Korsakovo". Holotype: ZISP. female. insulana Guenee, 1845 (Ephippiphora), Annls Soc. ent. Fr. (2) 3: 178. TL: France, Syntype(s): MNHN. unknown. motacillana Zeller, 1847 (Grapholitha), Isis von Oken (Leipzig) 1847 (10): 736. TL: Germany. Holotype: BMNH. male. ovulana Tengstrom, 1848 (Grapholitha), Notis Sllsk. Fauna Flora Fenn. Frh 1: 160. TL: Finland. Uleborg. Holotype: ZMH. male. stragulana Tengstrom, 1848 (Grapholitha), Notis Sllsk. Fauna Flora Fenn. Frh 1: 160. TL: Finland. Helsinki. Holotype: ZMH. male. japonica "Kuznetzov, in Danilevsky & Kuznetzov", 1968 (Pammene), Fauna SSSR (N.S.) 98 (Lepid. 5 (1)) : 616. TL: Russia, "Primorsky Krai, Kuril Islands, Kunashir". Holotype: ZISP. male. juniperana Milliere, 1858 (Coccyx), Ann. Soc. Linn. Lyon (N.S.) 5: 17. TL: France, Syntype(s): MNHN. unknown. tergorana Frolich, 1828 (Tortrix), Enum. Tortr. Wrtemberg : 89. TL: Germany. Wrtemberg. Syntype(s): Unknown. unknown. thuriferana Cleu, 1926 (Pammene juniperana var. ), Amat. Papillons 3: 88. TL: France. Holotype: AMSC. unknown. laserpitiana Huemer & Erlebach, 1999 (Pammene), Quadrifina 2: 233. TL: Italy, "southern Alps, Bozen-South Tyrol Province". Holotype: TLMF. male. leucitis Meyrick, 1907 (Laspeyresia), J. Bombay Nat. Hist. Soc. 18: 143. TL: India, "Assam, Khasi Hills". Holotype: BMNH. female. luculentana "Kuznetzov, in Danilevsky, Kuznetzov & Falkovitsh", 1962 (Pammene), Trud. Inst. Zool. Alma Ata 18: 109. TL: Kazakhstan, "Dzhungar Alatau, Topolevka". Holotype: ZISP. female. luedersiana Sorhagen, 1885 (Steganoptycha), Ent. Nachr. 11: 284. TL: Germany, Hamburg. Syntype(s): Unknown. unknown. macrolepis Diakonoff, 1976 (Pammene), Zool. Meded 50: 91. TL: Greece, "Greece (Rhodos Island, Rhodini)". Holotype: ZSM. male. mariana Zerny, 1920 (Grapholitha), Zool. Jb. 42: 202. TL: Croatia, "Dalmatia [Croatia] (Spalato, Monte Marian)". Holotype: NHMV. female. pontica Obraztsov, 1960 (Pammene), Tijdschr. Ent. 103: 122. TL: Macedonia. Holotype: AMNH. female. medioalbana Knudson, 1986 (Pammene), J. Lepid. Soc. 40: 325. TL: USA, "Texas, Gonzales Co., Palmetto State Park". Holotype: USNM. male. megalocephala Diakonoff, 1983 (Pammene), Fauna Saudi Arabia 5: 242. TL: Saudi Arabia, Bahara. Holotype: RAWRC. male. monotincta Kuznetzov, 1976 (Pammene), Trud. Zool. Inst. Leningrad 64: 30. TL: Russia, "Primorsky Krai, Kedrovaya". Holotype: ZISP. male. nannodes Walsingham, 1900 (Pammene), Ann. Mag. nat. Hist. (7)6: 435 TL: Lebanon, Beirut. Holotype: BMNH. male. macilentana Kennel, 1901 (Pammene), Dt. ent. Z. Iris 13(1900): 302. TL: Lebanon. Beirut. Holotype: MNHU. male. nemorosa "Kuznetzov, in Danilevsky & Kuznetzov", 1968 (Pammene), Fauna SSSR (N.S.) 98 (Lepid. 5 (1)) : 377. TL: Russia, "Primorsky Krai, Ussuriysk". Holotype: ZISP. male. nequior Kuznetzov, 1964 (Pammene), Trud. Zool. Inst. Leningrad 34: 258. TL: Kazakhstan, Tian-Shan. Holotype: ZISP. female. nescia Kuznetzov, 1972 (Pammene), Ent. Obozr. 51: 394. TL: China, "Chekiang Province, West Tien-Mu-Shan". Holotype: LNK. male. nigritana Mann, 1862 (Grapholitha), Wien. ent. Monatschr. 6: 397. TL: Turkey, Asia Minor [Turkey] (Brussa). Lectotype: ZISP. male. obscurana Stephens, 1834 (Pseudotomia), Illust. Br. Ent. (Haustellata) 4: 98. TL: United Kingdom, Great Britain. Holotype: BMNH. male. tomiana Zeller, 1868 (Grapholitha), Tijdschr. Ent. 11: 85. TL: Poland. Glogw. Holotype: BMNH. male. ochsenheimeriana Lienig & Zeller, 1846 (Grapholitha), Isis von Oken (Leipzig) 1846 (3): 249. TL: Latvia/Lithuania, [Latvia/Lithuania]. Holotype: BMNH. male.
? panzerana Frolich, 1828 (Tortrix), Enum. Tortr. Wrtemberg : 78. TL: Germany. Wrtemberg. Syntype(s): Unknown. unknown. loxiana Herrich-Schaffer, 1851 (Tortrix (Grapholitha)), Syst. Bearbeitung Schmett. Eur. 4: 273. TL: Bohemia and Austria. Syntype(s): Unknown. unknown. luctiferana Herrich-Schaffer, 1851 (Tortrix (Grapholitha)), Syst. Bearbeitung Schmett. Eur. 4: 273. TL: Europe. Syntype(s): Unknown. unknown. ocliferia Heinrich, 1926 (Hemimene), Bull. U.S. natn. Mus. 132: 21. TL: USA, "Nevada, Pyramid Lake". Holotype: USNM. male. oreina Kuznetzov, 1973 (Pammene), Ent. Obozr. 52: 696. TL: China, "Yunnan Province, Likiang". Holotype: LNK. male. orientana Kuznetzov, 1960 (Pammene), Ent. Obozr. 39: 194. TL: Russia, "Siberia, Amur Region, Klimoutsy, 40 km W Svobodnyy". Holotype: ZISP. female. ornata Walsingham, 1903 (Pammene), Ent. mon. Mag. 39: 212. TL: Morocco, Tangier. Syntypes: BMNH. "1 female, 1 male". oxycedrana Milliere, 1876 (Grapholitha juniperana ?var. ), Cat. Raison. Lpid. Alpes-Maritimes : 286. TL: France, Syntype(s): MNHN. unknown. paula Heinrich, 1926 (Hemimene), Bull. U.S. natn. Mus. 132: 23. TL: Canada, "Manitoba, Aweme". Holotype: CNC. male. percognata Diakonoff, 1976 (Pammene), Zool. Meded 50: 93. TL: Macedonia, [Yugoslavia] (Treska Schlucht). Holotype: ZSM. male. perstructana Walker, 1863 (Sciaphila), List Specimens lepid. Insects Colln. Br. Mus 28: 343. TL: Canada, "Hudson Bay, Albany River, St. Martin's Falls". Holotype: BMNH. female. signifera Heinrich, 1926 (Hemimene), Bull. U.S. natn. Mus. 132: 22. TL: Canada. "Ontario, Lake of Bays". Holotype: CNC. male. phthoneris Diakonoff, 1976 (Pammene), Zool. Verh. Leiden 144: 27. TL: Nepal, "Prov. No. 3 East, Jubing". Holotype: ZSM. female. piceae Komai, 1999 (Pammene), Ent. Scand. Suppl 55: 135. TL: Japan, "Hokkaido, Bibai". Holotype: OPU. male. populana Fabricius, 1787 (Pyralis), Mantissa Insectorum 2: 382. TL: Sweden, Syntype(s): Unknown. unknown. ephippana Hubner,  (Tortrix), Samml. Eur. Schmett "7: pl. 39, fig. 246." TL: Europe. Syntype(s): Unknown. unknown. sticticana Frolich, 1828 (Tortrix), Enum. Tortr. Wrtemberg : 88. TL: Germany. Wrtemberg. Syntype(s): Unknown. unknown. pulchella Amsel, 1935 (Pamene [sic]), Mitt. zool. Mus. Berl. 20: 292. TL: Palestine, Kiriath Anavim. Holotype: LNK. male. pullana Kuznetzov, 1986 (Pammene), Vestnik Zool. 1986 (4): 27. TL: Syria, Zeitoon. Holotype: MNHU. male. purpureana Constant, 1888 (Phthoroblastis), Annls Soc. ent. Fr. (6) 8: 169. TL: France, Alpes Maritimes. Holotype: Unknown. unknown. querceti Gozmany, 1957 (Hemimene), Acta zool. hung. . 3: 133. TL: Hungary, "Budakezi, vicinity of Budapest". Holotype: TMB. male. regiana Zeller, 1849 (Grapholitha), Stettin. ent. Ztg. 10: 279. TL: Poland, "Klodzko, Mittenwalde". Holotype: BMNH. male. caucasica "Kuznetzov, in Danilevsky & Kuznetzov", 1968 (Pammene regiana ssp. ), Fauna SSSR (N.S.) 98 (Lepid. 5 (1)) : 414 TL: Georgia. "Georgia (Caucasus, Bakuriani)". Holotype: ZISP. male. rhediella Clerck, 1759 (Phalaena), Icones Insectorum Rariorum "1: pl. 12, fig. 12." TL: Europe, Lectotype: LSL. female. daldorfana Fabricius, 1787 (Pyralis), Mantissa Insectorum 2: 235. TL: Germany. Kiel. Syntype: ZMUC. 1 female. dimidiana Donovan,  (Phalaena), Nat. Hist. Br. Insects 11: 12. TL: United Kingdom. Great Britain. Holotype: BMNH. unknown. parvulana Frolich, 1828 (Tortrix), Enum. Tortr. Wrtemberg : 80. TL: Germany. Wrtemberg. Syntype(s): Unknown. unknown. salvana Staudinger, 1859 (Grapholitha), Stettin. ent. Ztg. 20: 233. TL: Spain, Chiclana. Holotype: MNHU. male. shicotanica "Kuznetzov, in Danilevsky & Kuznetzov", 1968 (Pammene), Fauna SSSR (N.S.) 98 (Lepid. 5 (1)) : 422. TL: Russia, "Kuril Islands, Shicotan". Holotype: ZISP. female. soyoensis Bae & Park, 1998 (Pammene), Zool. Studies 37: 299. TL: Korea, "Gyunggi, Mt. Soyo". Holotype: IZUK. male. spiniana "Duponchel, in Godart", 1842 (Ephippiphora), Hist. nat. Lpid. Papillons Fr. (Suppl.) 4: 192. TL: France, Syntype(s): MNHN. unknown. spinetorum Herrich-Schaffer, 1851 (Tortrix (Grapholitha)), Syst. Bearbeitung Schmett. Eur. 4: 269. TL: Europe. Syntype(s): Unknown. unknown. trigonana Stephens, 1834 (Pseudotomia), Illust. Br. Ent. (Haustellata) 4: 102. TL: United Kingdom. Great Britain. Syntype(s): BMNH. unknown. splendidulana Guenee, 1845 (Coccyx), Annls Soc. ent. Fr. (2) 3: 179. TL: France/Switzerland, Syntype(s): MNHN. unknown. plumbatana Lienig & Zeller, 1846 (Grapholitha), Isis von Oken (Leipzig) 1846 (3): 249. TL: Latvia/Lithuania. Livlandia/Kurlandia [Latvia/Lithuania]. Holotype: BMNH. unknown. strobilana Haworth, 1811 (Tortrix), Lepid. Br. (3): 448. TL: United Kingdom. Great Britain. Syntype(s): BMNH. unknown. suberana Constant, 1895 (Grapholitha), Annls Soc. ent. Fr. 64 (Bulletin): L. TL: France. Syntype(s): Unknown. unknown. subsalvana Kuznetzov, 1960 (Pammene), Ent. Obozr. 39: 195. TL: Russia, "Amur Region, Anikina Shilka". Holotype: ZISP. male. suspectana Lienig & Zeller, 1846 (Grapholitha), Isis von Oken (Leipzig) 1846 (3): 255. TL: ?, Kokenhusen. Holotype: BMNH. male. fraxinana Peyerimhoff, 1872 (Phthoroblastis (Pammene)), Mitt. schweiz. ent. Ges. 3(1871): 415. TL: France. Holotype: MNHN. unknown. tauriana Kuznetzov, 1960 (Pammene), Ent. Obozr. 39: 193. TL: Ukraine, "Ukraine (Crimea, Bel'bek)". Holotype: ZISP. male. conjugana Zeller, 1849 (Grapholitha), Stettin. ent. Ztg. 10: 278. TL: Austria. Holotype: BMNH. unknown. floricolana Frolich, 1828 (Tortrix), Enum. Tortr. Wrtemberg : 83. TL: Germany. Wrtemberg. Syntype(s): Unknown. unknown. notata "Westwood, in Humphreys & Westwood", 1845 (Pseudotomia), Brit. Moths Transf. 2: 126. TL: United Kingdom. Great Britain. Syntype(s): BMNH. unknown. seminotata Filipjev, 1926 (Pammene), Archiv f. Naturgesch. 91 (A): 116. TL: Russia. Stavropol. Lectotype: ZISP. female. tricuneana Kennel, 1900 (Grapholitha), Dt. ent. Z. Iris 13: 154. TL: Georgia, Georgia (Borshom). Lectotype: ZISP. female. tsugae "Issiki, in Issiki & Mutuura", 1961 (Pammene), Microlepid. Ins. Injurious Conif. Plts. Japan : 36. TL: Japan, "Honshu, Osaka Prefecture, Ikeda". Holotype: USNM. male.